Strictly speaking, tsundoku is the acquisition of books that pile up without being read. It's starting to be used for other things like movies and games that pile up without being watched/played. So why not LEGO sets? I have several sets I have tsundokued including 79018 Lonely Mountain, 850936 Halloween Set and 6599 Shark Attack. I bought them when they were still being sold in stores or soon after but just haven't gotten round to opening them. NB that tsundokuing is not the same thing as buying sets but not opening them because they are an investment and you intend to sell them. A tsundokued set is one you intended to build or at least planned to use for parts, but never even opened. What sets have you tsundokued? I was completely shocked today to see that the Taj Mahal is being rereleased! I wonder if I'm the only one that thinks this can potentially destroy what collectors and investors have been doing for the last decade plus. The new UCS Millenium Falcon shouldn't have been a surprise to anyone. Nice round number for the anniversary year. The Falcon is popular to an expanded audience thanks to Episode VII. Plus Lego Star Wars fans know everything will eventually get a newer better version eventually. But at least in this case, there's lots of new pieces, new characters, EP V minifigs, etc. The only people who would complain about this set are people who bought it used for $2500 and were hoping to flip it for more than $5000. But they should have seen the new version coming as an inevitability. However, the Taj Mahal just seems like a huge attack by Lego on anyone hoarding larger sets for the last decade. It's been amazing to watch no matter how many times people talk about resale prices and said "it's a bubble, prices will drop," they never really did. If you bought big sets, sat on them for five years or so, you could make a lot of money flipping retired modulars, and many many more. Now Lego is saying, remember our biggest set ever? We're rereleasing it now. For only $300! This isn't a set aimed at people who wish they collected all the Modulars, or Super Hero fans who want old Batman or other rare minifigs, or Winter Village collectors, it's really a one off. Lego is plainly showing they can rerelease anything now. And it will be amazing to watch the prices ($1200 used / $1600 new USD) on Bricklink drop like a stone. But of course, what's next? Cafe Corner? Green Grocer? Statue of Liberty? The carousel dodged a bullet by getting a new version, but even then this makes the old one less unique then before. But can you imagine the first three modulars coming out again at regular retail prices? We've seen this before, though long ago. Early in the Millennium, ebay and the new craze of buying online from people far away demonstrated prices going crazy. Lego responded with the Legends line, and sets like the Metroliner and Club Car which were selling for big money fell back to earth. Of course now the originals and Legends versions both still sell for a fortune. But Lego has just shown they can turn on the rerelease machine anytime now. Legends died a relative quick death thanks to not as much interest as hoped, but would that happen with Cafe Corner and Green Grocer? Probably not. Then Lego will rerelease more and more, killing off interest in their biggest old sets one by one. Basically, anyone sitting on large unopened sets from the last 10 years should be worried I think. Lego has decided to say investors resale value is not important, and just the threat of a possible rerelease for any set can start sending prices down across the board. Any thoughts? What do you think will get rereleased next? What is immune besides Monorail? Is Lego doing the right thing for new fans, and spiting old ones? Is Lego no longer going to outperform gold? Do you buy toys other than LEGO? Obviously everyone here buys LEGO and some of us even buy LEGO-compatible brands, but I was wondering if anyone buys toys that are neither. I came back to LEGO in 1993 through my hobby of collecting fantasy action figures (or 'dolls' as my fiancée calls them!). While I now have much more LEGO in my display collection than non-LEGO, I do still pick up the odd non-LEGO fantasy or super hero action figure now and again. In case you're wondering, I don't mix the two: my LEGO and non-LEGO collections are physically separate. I know that Jang, a prominent AFOL, buys other toy brands as he has reviewed some on his YouTube channel. So what non-LEGO and non-LEGO-compatible toys do you collect? Do you sometimes have to make tough choices between getting more LEGO and getting something else? How do you decide what to get/what not to get? Hello, when I started collecting the sets from the grey 12v era 1980-1990, I bought many used sets and incomplete lots. Bricklink was (and is) a great help to check them for completeness, and to complete the missing parts. But later on, I faced some problems, e.g. : 1. I found part variants, that Bricklink doesn't know . 2. Some invetories are obviously wrong. For example, it is hard to believe that the power rail 2731a shall be contained in set 7725, but not in 7727. In reality, it looks as if this part wasn't used at all before 1986. 3. Alternative parts are not consistent among various sets. For example, the second version of the black steam cylinder x461 is listed as alternate part for 7730 and 7750, but not for 7865. I got into conctact with other collectors (e.g. Reza) and we exchanged lots of pictures and information. The result is a huge table that can be downloaded here: Table It is a write-proteced Excel file. To use the file, you need a monitor with huge resolution (at least Full-HD) and not too big scaled font size (for Windows, 100% is fine). The table shall be a basis for discussion, not a final document. In many cases, there are only hints and conclusions, but no hard evidence. Any feedback is appreciated. A short guide to the table columns: A "Part" Basic part description B "Variant Type" The different known variants of the part. C "Number" Bricklink part numer. 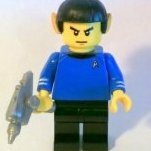 Parts that Bricklink doesn't know, use a "+" at the end of the name, or ar marked "?". D-N "Years" Assignment of the part variants to the years of production / selling. O-P etc. "Sets" Each set consists of two columns. The first one indicates, if the set does containt the part at all. The second columnt indicates, how many parts are contained, and if it is a "regular" or "alternate" part. P.S. I already had contact to the Bricklink inventory admins. They are interested in improving and consolidating the set inventories. But for me, the process is extremely complicated and time-consuming. Every single change for every single set should be handled as separate "inventory change request", and every request takes weeks/months until a decision is made. Imho, this is very ineffective, so I decided to write this text and to provide the table for download. Hello all, this is my first post to the EB forums! I've recently unearthed my childhood collection of Lego and am doing a little refurbishment on my 6990 Monorail Transport System. Since I was pretty OCD about my sets at that age, and since my parents packed things away pretty attentively during my Dark Ages, the set is in outstanding condition. I thought I'd share some of the experiences I've had, and some questions that arose, as I've been rehabilitating it. Parts There was only one missing piece in the set, a simple white 1x2 plate, so no problem replacing that. Also, the set has only 7 of the large supports, enough to build the main model—but the online inventories say there should be one extra, for a total of 8. I don't recall there ever being an extra; was this included in later editions of the set? Right now I am considering the set complete with 7. In building the set, I broke one of the white antennas because of the very tight fit of the trans-red dish onto it. Again, this was easy to replace (I got two in case the other one ever breaks.) Other than the 8th support, I have all the various extra parts that came with the set: the different 1x1-size parts, trans-blue minifig visor, trans-red light cover, etc. I even have an extra white 1x4 brick for some reason. Was this a genuine extra part, a factory packing error, or did it just get mixed into my set by mistake? My biggest challenge is with the electric connector wire. This set came with the rare plate-sized connector, which has small clips on the underside of its plate ends that cover the electrical solder as well as providing the clutch power for the bottom. The tab that holds this clip onto the plate itself is very tiny, and with age the plastic seems to degrade so that these tabs break off and the clip becomes loose. It will often be pulled off by the act of disconnecting this part from the battery box studs. (The same degradation results in tiny cracks forming in the plate ends, which must be why so many of these listed for sale have corners or edges missing. My part has the beginnings of these cracks, but so far the damage is minimal.) This photo shows the underside of the part, both with and without this clip: I am currently sourcing replacements for this, but there are very view for sale and most of those seem to be in worse condition than my own. I'm wondering if I'm better off just gluing the clip back in with a plastic cement; has anyone else ever dealt much with these vintage pieces? Yellowing As you'd expect, many of the white and grey parts in this set had yellowed, but I've had good luck reversing this. After reading about numerous un-yellowing methods of varying complexity, I'm glad to say I've had good success with a simple 3% peroxide solution in direct sunlight—no added OxyClean or higher strength peroxide solution—and most parts have returned to white in a few hours. I'm using clear plastic containers, and I'm sure it helps that I have a white table outside to put them on. I made a quick cornstarch & peroxide paste for the battery box, since it can't be submerged, and the large baseplate, which is too big to dip. A few parts showed more resistance to de-yellowing: the webbed radar dishes needed some extra time, and for some reason the 1x1 cones as well. The soft plastic of the flexible hoses did not respond to the treatment, but the end pieces did, so these are now a two-toned affair. I'm currently re-dipping the long Technic rack pieces; these almost look like they turned more yellow. Are they a different plastic, and should I be using a different technique for these? Meanwhile, a couple of parts (the rack winder and the motor housing) never yellowed and are still completely bright white—they must also be a different plastic—and so I'm using them as my color comparison to the treated parts. EDIT: One of the straight track pieces, which was significantly more yellowed than the rest of the track, ended up suffering some fading and is now a bit of a chalky white on the top and one side. I knew this was a possibility with light grey parts, but even though I was getting the yellow out within a few hours of treatment, I somehow assumed that the bleaching problem wouldn't happen that quickly. Of course, it had to be the relatively rare (and thus expensive) straight track, so it will cost I bit if I decide to replace this part. :-( Packaging As far as I can tell, I have the complete packaging save for the original polybags. I have the outer box top and bottom, red inner box, four plastic inlays and a plastic inlay lid. I even have the cardboard space backdrop and the original catalog that came with the set. The instructions are in excellent shape, too: only the outer leaf (cover and fold-out back page) has separated at the staples, but the booklet itself is otherwise undamaged. Overall Of course I checked the electrical function and everything works perfectly—although I went through three 9v batteries that I had in my drawer before realizing that every one of them was dead; it wasn't the monorail! A trip to the store and one new battery later, all was well. I have not yet decided if I will try to sell this set or keep it in my collection. I believe I can get quite a good price for it as the condition is excellent and the set is 100+% complete. Then again, I might hang on a bit and see if the price goes up a bit over time. :-) Thanks for reading, and I'd love to hear about others' experience restoring this set or with some of the issues I've found. Meanwhile, my next project will probably be the 6285 Black Seas Barracuda, arr! How do you store your Bionicle figures? When I moved on to primarily CCBS-based MOCing in 2015, I sold the vast majority of my G1 parts, only keeping my masks, some select armour and weapon pieces and a few of my favourite G1 sets. Since then however, I've started collecting more of my favourite G1 sets to keep - a few which I previously owned before the 2015 purge, and a few I've never had before. I've even started collecting Slizers sets, hoping to eventually end up having the entire set. Currently, the vast majority of my G1 collection is in pieces. Each set bagged up individually and archived in a big white box, so I can build them again at a later date for display. Four Roboriders, three Slizers and my Exo Toa however are stored - again, in pieces - in their original packaging. Currently, only Roodaka, Millenia Slizer and three other Slizers stand built on my shelf, as these are the most recent additions to my collection and I want to have them out on display for a bit before I go ahead and archive them. I mostly do this archiving business as I don't have much spare space in my room - my one shelving unit is already dominated by MOCs and books, and every other surface in my room either has storage or electronics on it. I could put up more shelves on the wall to the side of my bed, but they'd likely cover the entire wall and make things look messy. Maybe I'll be able to have all of my sets out on display when I move out on my own? So anyway, how do you store your Bionicle figures? Do you archive them like me? Are they all jumbled up in one parts bin? Or are you lucky enough to have them all out on display? EDIT: Apologies if this has been asked lots and lots before. Hey, I guess this is better than necroing an old thread, right? What is the best way to organize a large bucket full of minifigures? I need a way to quickly be able to find them, see how many of each type I had, and keep them from losing their parts and pieces. I'd looked at many people's minifigure display projects using wooden frames, custom made Lego cases (often using baseplates glued to a wall mount), and even Lego's official display case. However, each of these required too much money, time, or space to fully display my 400+ collection of minifigures. After some experimentation, I put together my own display option which I hope will benefit other builders who can follow this model. Using 2 by X plates (2 x 6, 2 x 16, 2 x 8 etc) and double stacking them in an overlapping arrangement, I was able to build a light way minifigure display frame. I picked up a lot of the strings with bricks on the ends from the Kings Castle set from the last castle run. It was a simple enough build I put together a wall of several frames and grouped my minifigures by theme. This made it very apparent (for planning purposes) how many of each theme I could muster to my castle armies or my pirate invasions. These work fairly well but I have found a few problems: I quickly ran out of plates to make more and now I won't be building anything requiring lots more plates For those people who are strictly into collecting, this isn't enclosed so the minifigures will get dusty over time I have a bunch of mismatching frames (black, grey, and dark grey). I have a couple more pictures here on my project page if you are interested. There I show how some of the minifigures with dresses or abnormal legs can also be displayed this way. All that being said, what do you think? Any suggestions? Why would you build a few of these over the enclosed versions or would you? New to star wars minifigure collection - Any help / beginner tips? Start to collect minifigs ? Hello. I did not think I would start collecting minifigs except those with diverse set. Is there any special way to approach it? Miscellaneous old minifigs, what about them? I have a mixed bunch, many are probably not complette more, but still fun to have. It is my pleasure to announce that the 2014 LEGO Minifigure Catalog is now available. It contains more than 650 Minifigures with detailed photographs and meta data. The book is a whopping 192 pages. I have limited the distribution options to Amazon and hence was able to reduce the price to only $32 USD. This is the biggest year book so far and I dare to say my best one so far.